i Click 'view all' to instantly compare this ok deal with offers on other top amazon echo devices. Echo 2nd Generation Heather Gray Fabric + Sengled Starter Kit is currently selling at $119.99, approximately $5.18 higher than average, giving a potential saving of $19.99 right now. 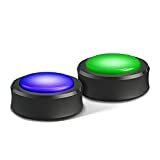 With a lowest price of $99.99 and an average of $114.81 it is selling on the high end of its usual range. Price volatility is 0.74% (meaning it does not change often), so you might have to wait a while for the price to drop. Right now this product is a recommended 'ok deal'. 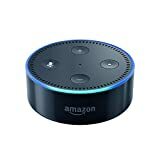 Compare the current price, savings (in dollars & percent) and Buy Ratings for the top Amazon Echo Devices that are closely related to Echo 2nd Generation Heather Gray Fabric + Sengled Starter Kit. Here is how Echo 2nd Generation Heather Gray Fabric + Sengled Starter Kit compares with other leading Amazon Echo Devices. 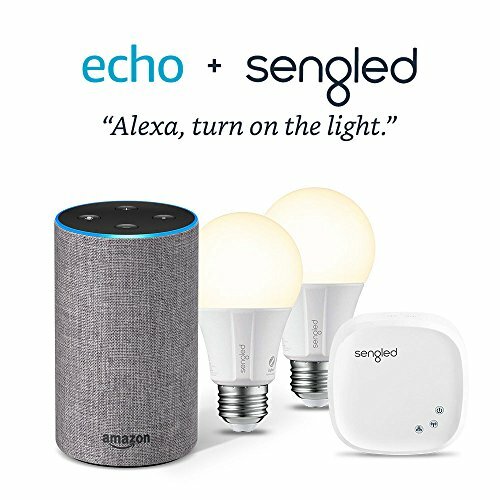 FeaturesThis bundle contains the Echo (2nd Generation) and the Element Classic by Sengled Starter Kit.Connect your smart lights to Alexa for easy voice control. 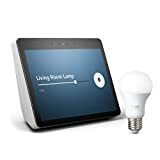 Just ask, "Alexa, turn on the living room light"Control your lights remotely, create routines, or group your lights together with the Amazon Alexa appEcho (2nd Generation) has seven microphones, beamforming technology, and noise cancellation, and can hear you from any direction-even while music is playing.